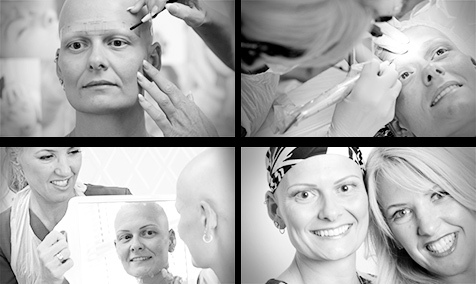 Amy had lost all her brows and lashes as a result of Alopecia. She found this very hard to deal with, and felt like she had lost her face – the definition was gone and so was her identity. Karen gave Amy a full set of brows using the 3D Hair stroke technique, to add definition to Amy’s face. She also created the illusion of eyelashes by applying eyeliner, with a combination of shading and hair strokes. Amy is over the moon and is much happier in herself.